Independence Park in Anchorage Alaska has been described as one of the best places to live due to the pedestrian friendly atmosphere. This planned neighborhood in South East Anchorage has residential homes within walking distance to restaurants, shopping, Fred Meyers & Carrs grocery stores, Home Depot, medical & dental facilities, parks, cross country skiing trails, walking & bike paths. This neighborhood features affordable single family homes, luxury built new construction homes, affordable townhomes and condos for sale. 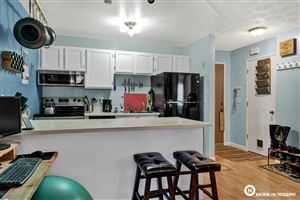 If you are looking for a home for sale in Independence Park in Independence Park, we have all homes for sale in this area featured on MLS from ALL the Real Estate Companies. If you are looking for a New Construction Home in the Independence Park area (Abbott to Dearmoun) call/text 9074404661 for availability of lots and pricing information. Advanced Construction, Six-M Custom Homes, and Glacier Homes.